Falling is pervasive and so much part of our day-to-day existence as to be almost unconsciously experienced. While Western culture, for the most part, continues to resist falling, striving towards a morally underpinned verticality and uprightness. 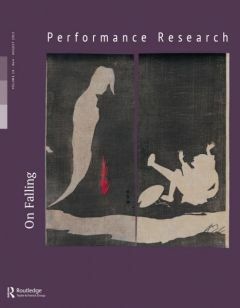 On Falling offers imaginative and wide-ranging encounters with the theme in performance practices and trans disciplinary contexts. The writings expose the act and art of falling, highlighting three interweaving threads: physical risk, cultural metaphor and promise of renewal. 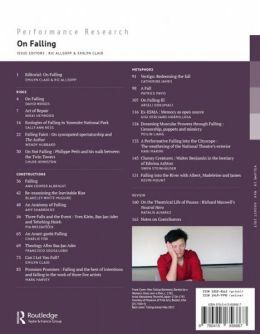 On Falling’s narrative is paradoxical - falling can be a dangerous nihilistic or injurious experience and falling offers a resource for creative change, a pathway to curiosity.